large dining table for 6 and breakfast bar for 3. 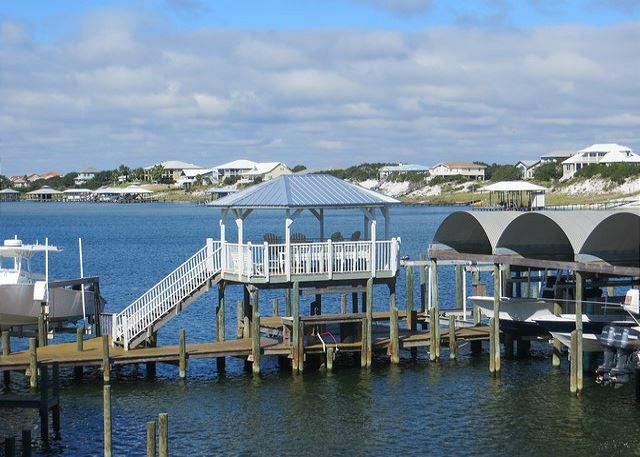 Dining and kitchen has views to Ole River! dining area with lots of natural sunlight coming in! Welcome to Jubilee Landing. 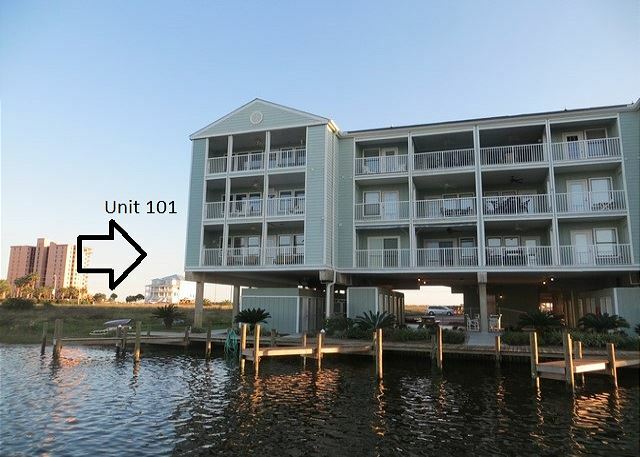 Located in Orange Beach on Ole River and across the street from the gulf! 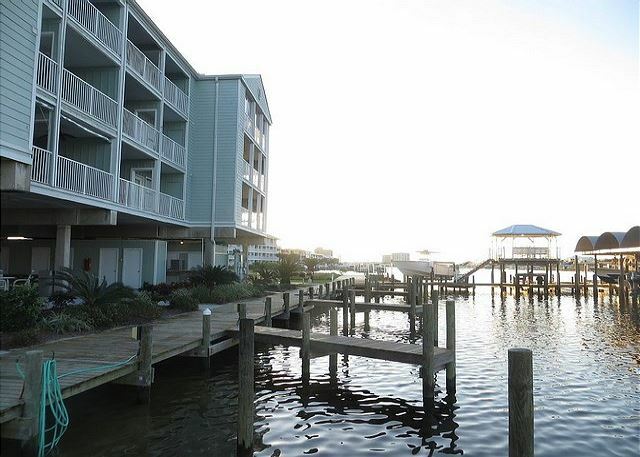 Jubilee Landing is located in Orange Beach with beautiful Ole River and Ono Island views. Boat Friendly! 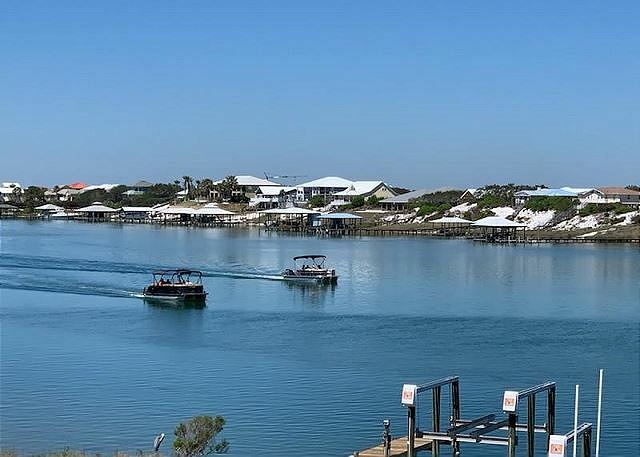 This unit is a 3 bedroom 2 bath corner unit, featuring large balcony with new outdoor furnishings giving you a stunning view of Ole River and Ono Island, watching boats go by and dolphins playing in the morning and late afternoon. 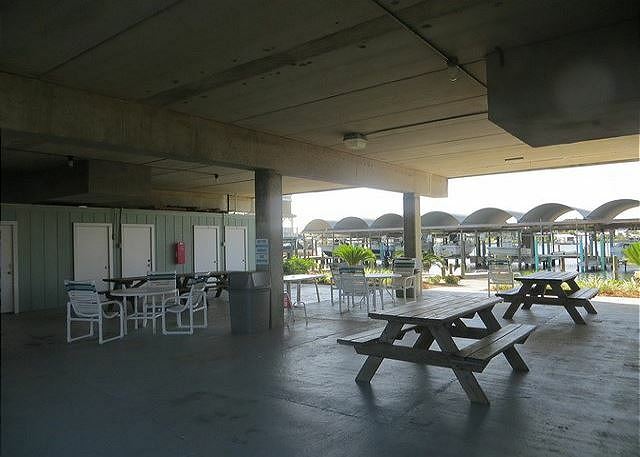 Enjoy the waterfront grilling area with picnic table, green space to play and also cool off in the covered picnic area. 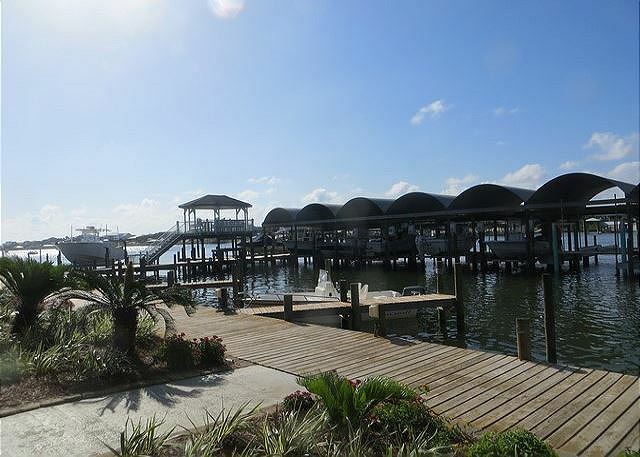 Take a stroll on the boat dock to the gazebo for the amazing sunrise and sunsets in Orange Beach. 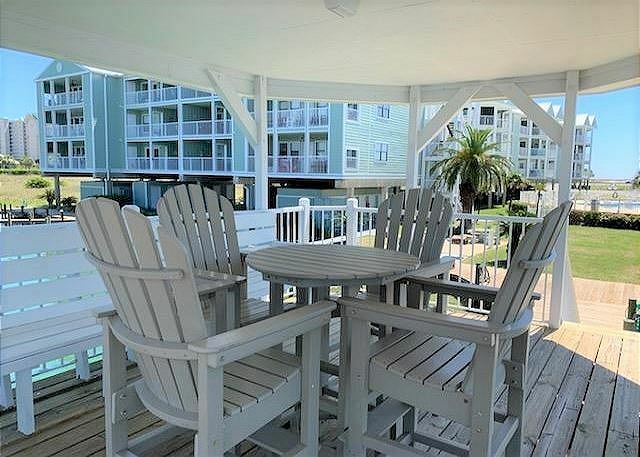 Jubilee Landing is a family oriented complex in Orange Beach. 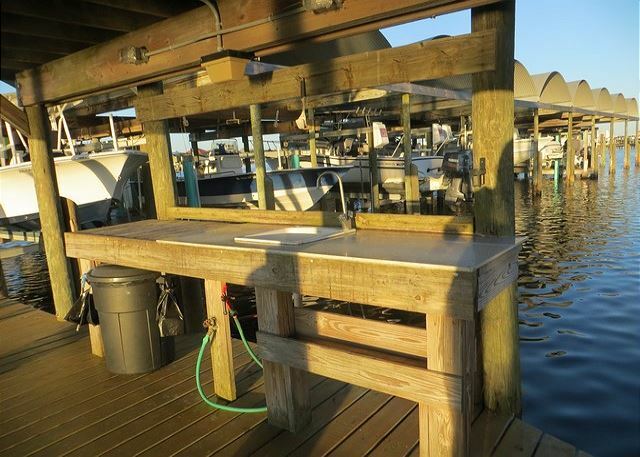 Renters are permitted to dock boats in the Jubilee Landing Marina with a dated and stamped Jubilee Landing boat permit visibly displayed. Permits must be displayed on the boat at all times. The view was amazing and the location very convenient. The condo was stripped pretty bare which was a bit of a negative for me. Also, it could use a really good scrubbing and some updating. We had a very nice time and would love to come back. We had a wonderful time in Unit 101! It is so lovely to wake up and go to sleep to that view. 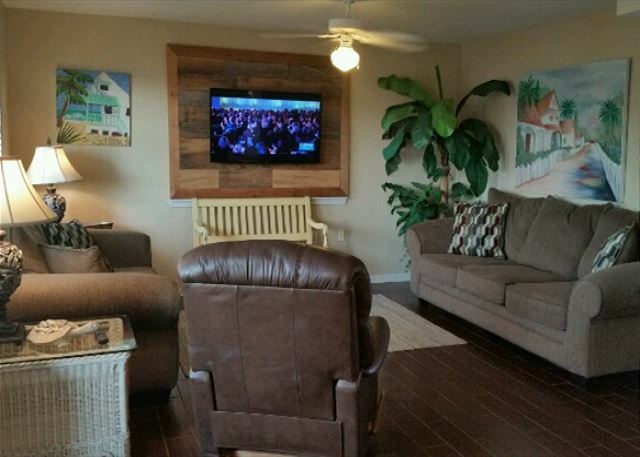 The condo has everything you could need and is located in a brilliant spot! THANK YOU! Thank you Reeves Family for the great comments and we look forward to seeing you again next year! We had a great experience with our stay at Jubilee Landing. Our view was amazing, and the beach across the street wasn't crowded at all. It was like having our own private beach in the middle of the summer! Aqua Vacations guest services were very accommodating to all of our needs, and we will definitely be staying with them again. 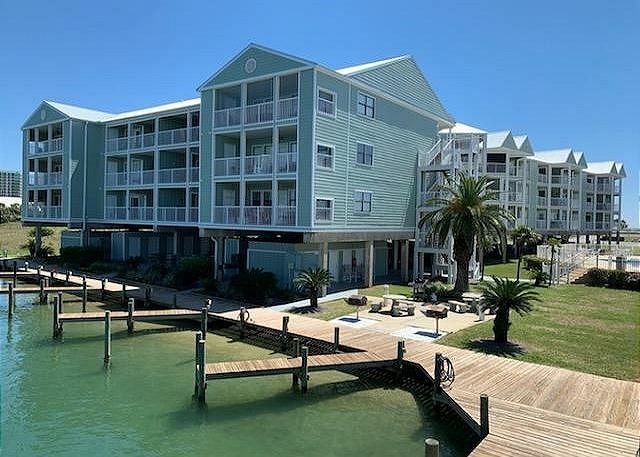 We have stayed at Jubilee Landing for the past 9 years! 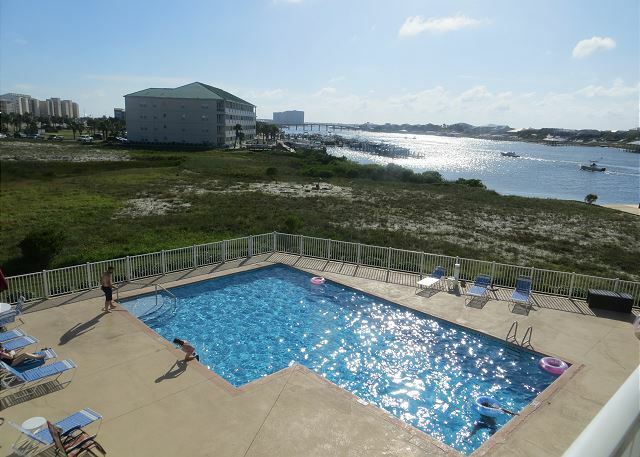 We love the location at the far east end of Orange Beach! 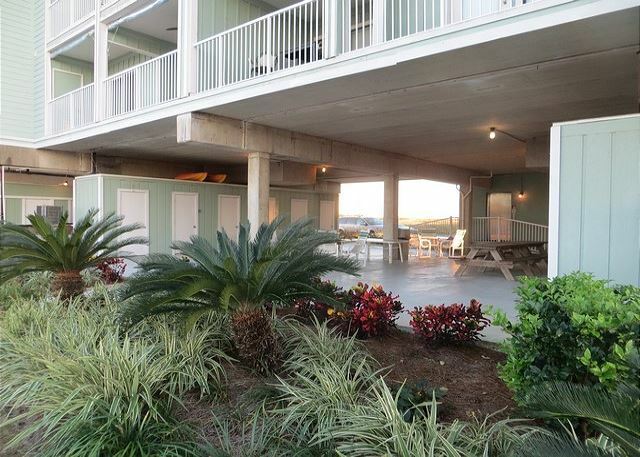 The beach access allows for privacy on the beach terrific especially if you have little kiddos! 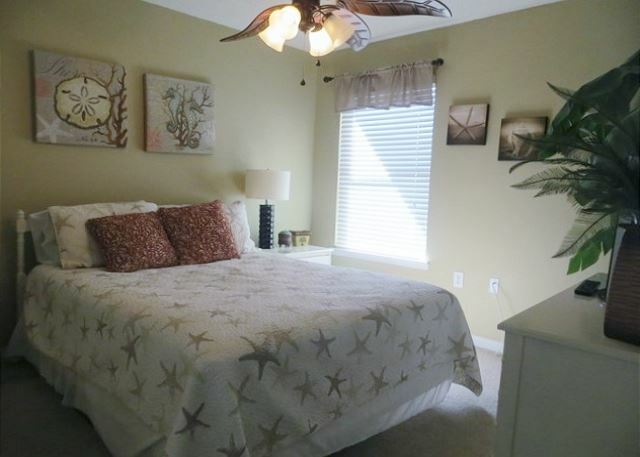 Have stayed in several of the two bedrooms this was our first time in #101 loved the layout and space! 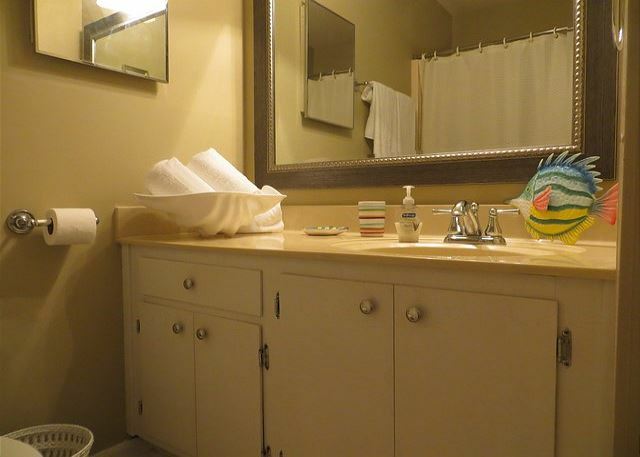 Beautiful, spacious condo that overlooks the back bay. We loved sitting on the balcony watching the boats. This is our second stay at Jubilee Landing and our first in this unit. 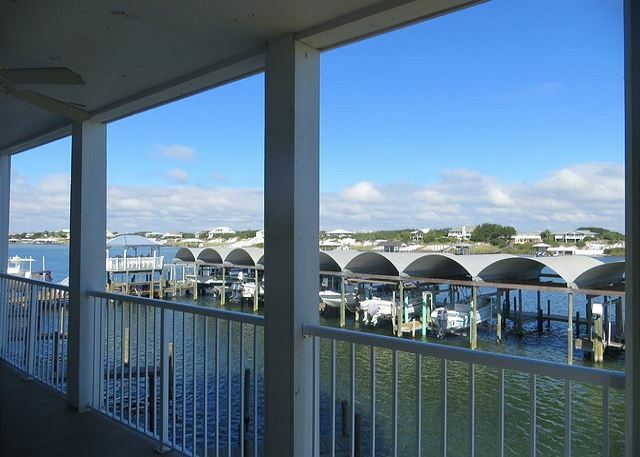 We love the proximity of the balcony to the boat slips and water! 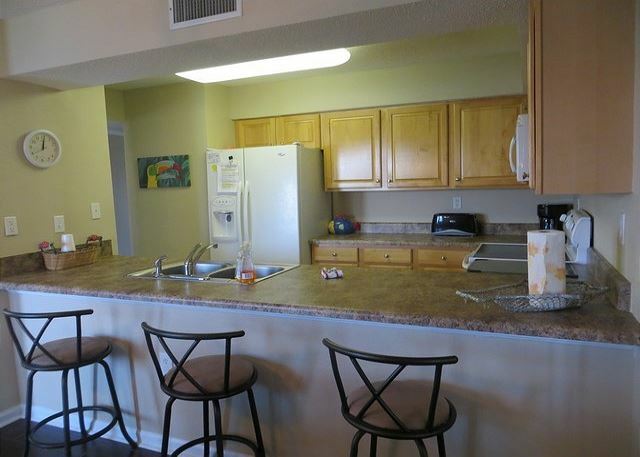 The unit itself was nice and clean,beds were comfortable, the kitchen was well stocked with pots/pans, etc. I do wish that the living room furniture and the cushions on the patio furniture were more comfortable. 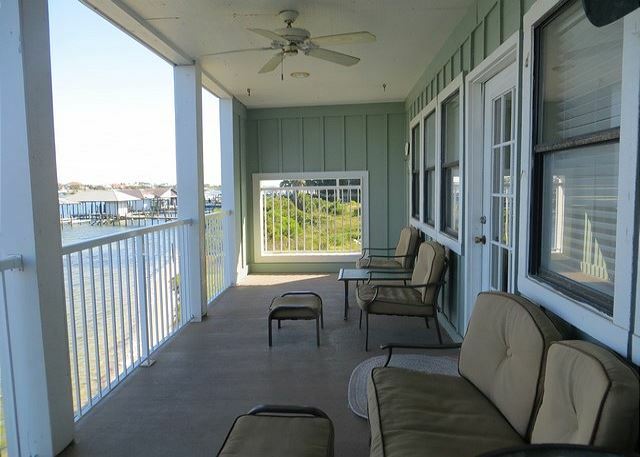 (I specifically picked this location, because the pictures showed what appeared to be some nice, comfy furniture on the balcony, where we spend a lot of time.) Wifi would be great, but we certainly survived without it. Overall, I would definitely stay again. We had a wonderful time on our vacation. The condo was clean and spacious. The balcony was perfect to watch the kids crab and fish ! The beach access was so nice and remote - plenty of room to spread out without the high rise hotel crowds nearby. This was our 4th time to stay at this location and first time at this unit and I would highly recommend it to anyone. 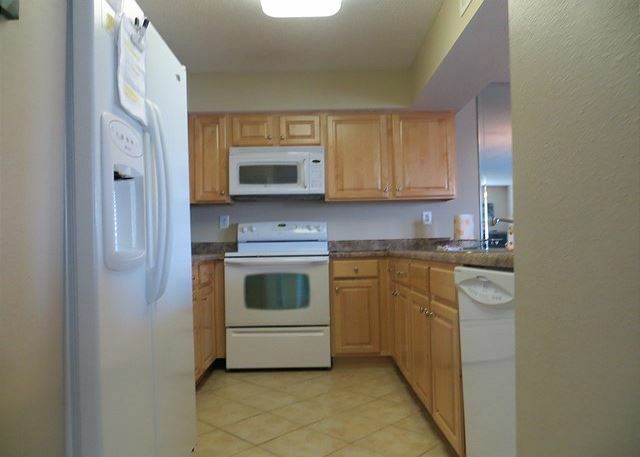 The property manager was extremely professional, friendly and helpful. Overall I am always pleased with this location. The only thing that bothered me was no wifi. I am obtaining my masters degree and had no wifi. I stayed here last year and I did have wifi. I did not go through an advertisement to rent this location so I had no idea that this was different until I got there and tried to log in to do homework. Ended up having to go sit at a restaurant that offered wifi and it was definatley not calm and quiet. Otherwise I was happy with this location. it was awesome! We were all comfortable and happy to be there! We enjoyed the stay very much. The only criticism that we have is that we did not have sufficient cleaning products, garbage bags, or paper products (toilet paper, paper towels, etc.) on hand. Other than that, we had a wonderful stay and enjoyed ourselves very much. Love Jubilee Landing! The condo was very nice and clean. My only concern for future renters is that the description of the unit was somewhat misleading especially the living room and there is no balcony off the master bedroom. I believe someone confused the discription of this unit with another one listed. Overall great time and plan to rent again. 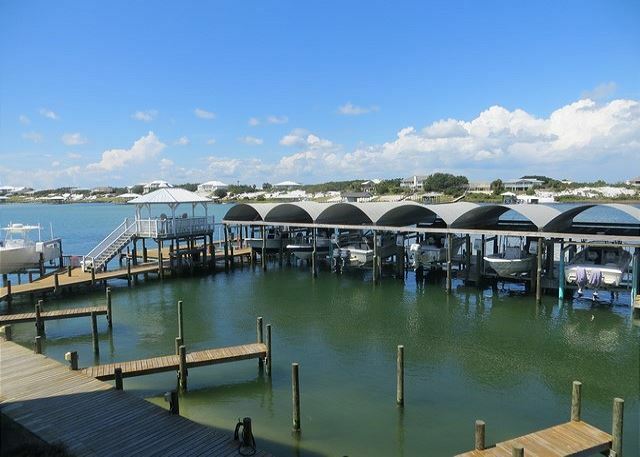 Perfect location for a fishing family!! The way a beach vacation should be! Everything was wonderful. Look forward to another visit. Karen J does not recommend this vacation rental. The King bed was very comfortable. The furniture or lack thereof in the living room wasn't very comfortable. Adv. as having a recliner, there wasn't one. The adv. said there was a private balcony off master bedroom-still can't figure out where that was. The sun never shines on this unit - very cold inside. The porch overlooking the river would have been nicer if the sun shone out there, but it never did. Saw one too many bugs in the unit and they were the nasty ones. 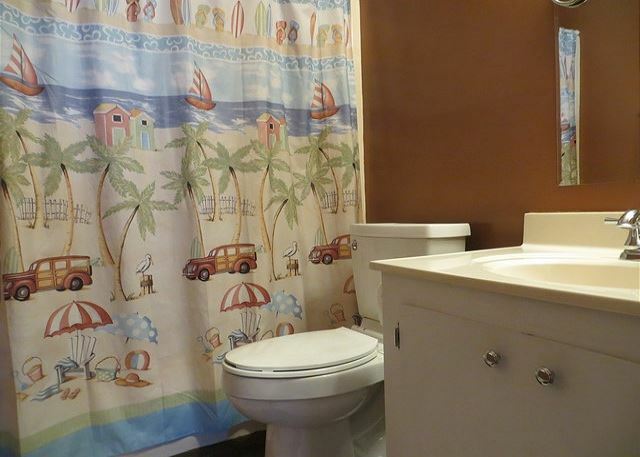 Bathroom off master bedroom was too tiny small like a closet. Dana in the rental management company was very nice to deal with. But no I can honestly say we did not enjoy our stay in 101.